Hello, friends! I apologize for the silence on the blog as of late. 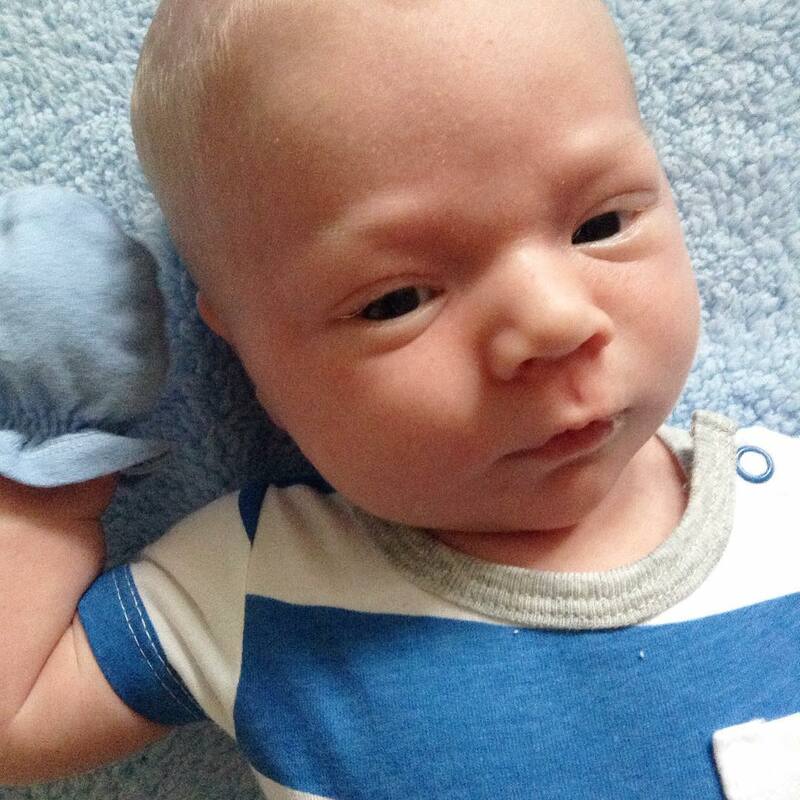 You see, I kind of had my first baby (hurray!) and am spending every waking moment with his darling little self. Cute stuff, right? He is the sweetest thing and James and I are just crazy about him. My six week maternity leave was full of cuddles and sleepy sweetness. Unfortunately though real life has to set back in at some point and I am back at work. It has been beyond hard, but while I am certainly missing my sweet baby, it has been nice to be with my sweet first graders again. 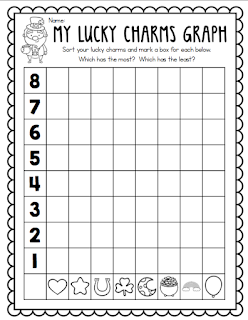 This week we will be celebrating St. Patrick's Day and I've created a free little graphing activity that you are welcome to use if you like! 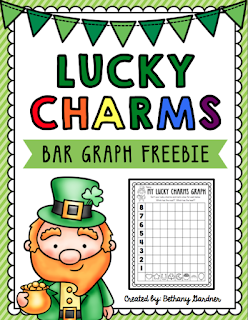 My students have always enjoyed sorting out their Lucky Charms, collecting their data, and representing it in a bar graph. I hope that you and your students enjoy this as well! Click above, below, or HERE to download this activity for free! Congratulations! He's beautiful! I am full of admiration for you for going back to work so soon - maternity leave needs to be MUCH longer! Happy St. Pat's Day!